Thank you to Cottonelle for encouraging me to Respect The Roll by sending me these awesome roll covers and Cottonelle Clean Care product and sponsoring my creativity. You can enter to win roll covers yourself by visiting Cottonelle’s Facebook page! I love blogging. Sometimes I get fun opportunities to blog about stuff, and today is no different. Cottonelle sent me these fun and oh-so-adorable toilet paper roll covers. Aren’t they so cute?! I die. 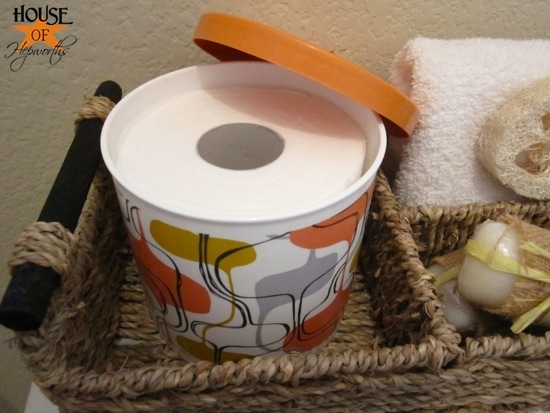 Toilet paper doesn’t need to be banished into hiding under the bathroom counter. Bring it out of hiding and put it where you can reach it! Without getting too graphic, don’t you just hate it when you are doin’ your thang and then realize there’s no toilet paper left on the roll? 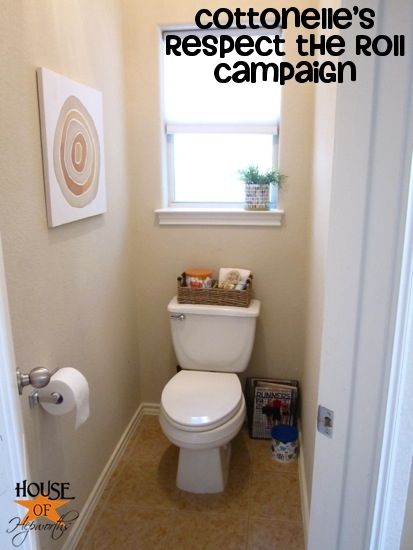 And that the cabinet where the toilet paper is further away than your arm can reach? Ya, me too. It just looks like a pretty little container with pretty stuff inside. But look! There she is. There’s really no end to the creative ways you can now store your toilet paper. All while staying pretty at the same time. Oh, and I don’t even know if I’m “allowed” to mention this in the campaign, but I’m a rebel so I’ll do it anyway. These fun covers are made for toilet paper, but for all the ladies out there, tampons fit PERFECTLY inside them as well! Woot! I also used one for a fake house plant. No need to purchase only one per bathroom. Use all three – toilet paper, tampons, and plants. 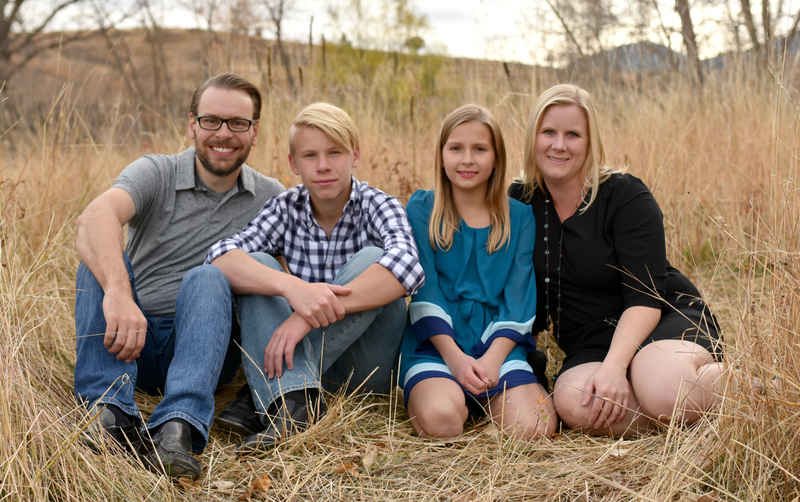 Thank you again to Cottonelle for sponsoring this blog post. Please click here to learn more about Respecting The Roll. I was selected for this sponsorship by the Clever Girls Collective. All opinions expressed here are my own. These are actually pretty cute for … you know… toilet paper covers. My favorite is the one on the far right in the top picture. can i just tell you…you crack me up!!!! I love the one with the orange lid! 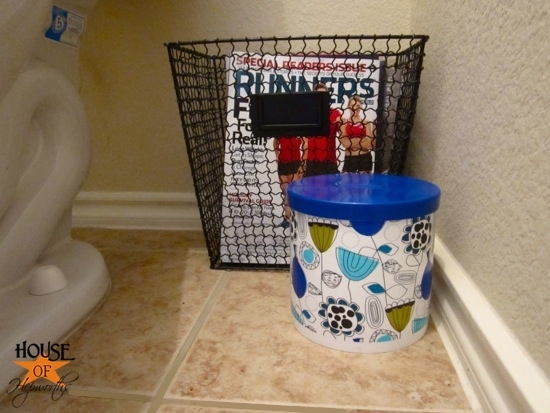 Love this post… you had me at the pic of Runners World in the Magazine basket though. I love you 100x more than I already did. Love those as storage. 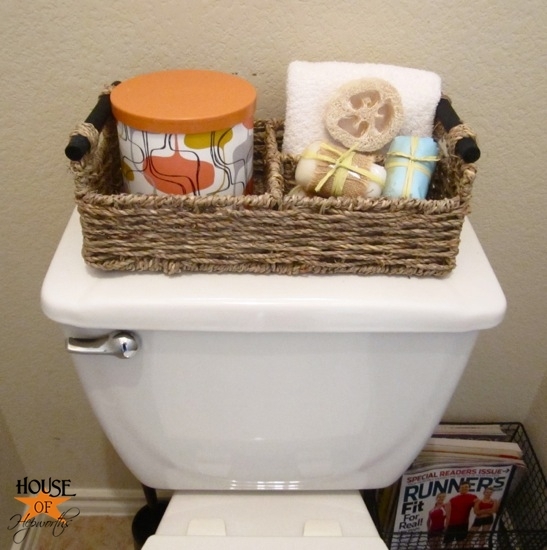 I also love the wire basket you have your magazines in. So cute.